This one of a kind, iconic 5700+ sq ft estate sits on a 6.42 acre lot perched above Lake Travis – private gated neighborhood with only two other homes. The unparalleled views of Lake Travis are simply breathtaking. This majestic property is located a short 30 min drive to downtown Austin or to the University of Texas Campus, 25 minutes from Domain and corporations such as Indeed, Apple and IBM. And just a 10-15 minute drive to the local grocery store, restaurants, and Vandegrift High School. It’s also.. Please, send me more information on this property: MLS# 9604297 – $3,190,000 – 8137 Lake Mountain Ln, Leander, TX 78641. 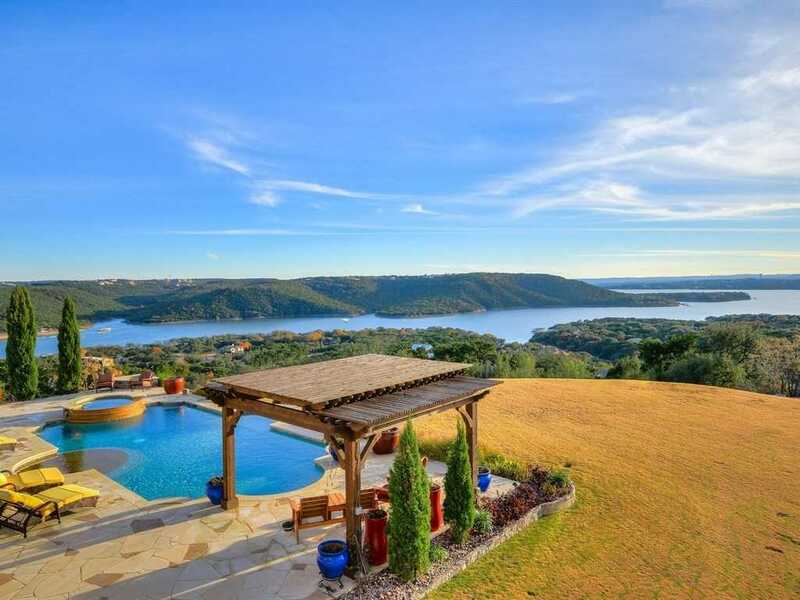 I would like to schedule a private showing for this property: MLS# 9604297 – $3,190,000 – 8137 Lake Mountain Ln, Leander, TX 78641.